Last week, from November 10 – 13, Paris became a mecca for anyone interested in photography. With the sprawling international Paris Photo fair at the Grand Palais as the anchor and several satellite fairs and exhibitions occurring throughout Paris, there were plenty of events that showcased photography in all its forms. For the photobook enthusiast, several venues in particular stood out: Paris Photo; Offprint Paris, an alternative fair with a focus on emerging practices in photography and image making; Le Bal Books, a superb bookshop associated with the Le Bal exhibition space, and Magnum Photo, which presented a temporary exhibition of photography catalogues, monographs and special collector editions. In its 15th year, Paris Photo gracefully acclimated to its new larger location at the Grand Palais with 117 galleries from around the world, 18 book dealers and publishers, and several thoughtfully curated exhibitions. 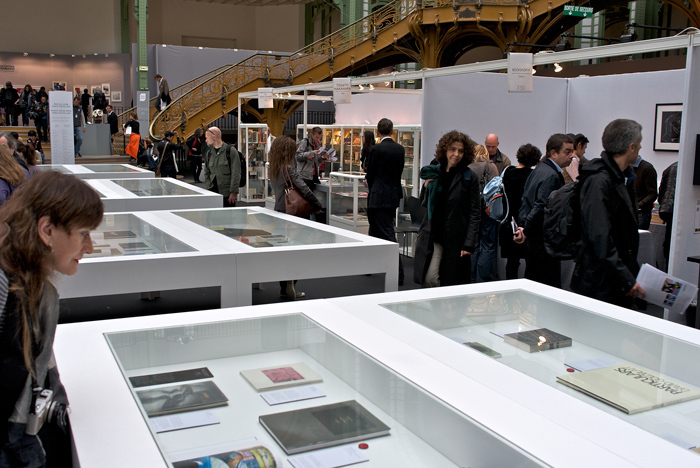 Photobooks could be found throughout the fair, with special sections reserved for books, book signings, exhibitions devoted to photobooks and the photograph in print, and the launch of the new Paris Photo Book Prize. As part of an expanded curatorial agenda entitled “Recent Acquisitions,” ICP curators presented Sudden Impact: Photography on the Printed Page, an exhibition that included the covers of large-format magazines such as AIZ, Vu, and USSR in Construction. In the next room, Britain’s Tate Museum presented Daido Moriyama’s seminal postwar Provoke Era photobook Farewell Photography (1972) along with 30 prints made from the original negatives from which the book was produced. Photobooks were also prominently displayed in many gallery booths, with several William Klein publications found at Le Réverbère (where the photographer was also present to sign books on Saturday afternoon.) In the book dealer / publisher section, a distinguished group of photographers was on hand to sign copies of their new publications. At Steidl, William Eggleston’s Chrome (2011) and Martin Parr’s The Protest Box (2011) drew long lines, while Rinko Kawauchi signed copies of Illuminance (2011) at Xavier Barral. Rare and out-of-print photobooks could be found at several booths. Libairie 213 (Paris) had a nice copy of Moi Ver’s Paris (1931); Tissato Nakahara (Paris) had numerous rare Provoke Era Japanese photobooks; Dirk K. Bakker Boeken (Amsterdam) had a copy of Christer Strömholm’s first book Till minnet av mig själv / In memory of myself (1965); and Oliver J. Wood (London) had the very hard to find Hitoshi Tsukiji’s Suichokujo no, (Ryoiki) / Perpendicularly, (Territory) (1975). Recent publications at Bookshop M (Tokyo) included a reprint of Moriyama’s A Hunter (2011) and a small book by Araki related to his recent Black Frame instant film images. French publisher Actes Sud (Arles) presented Sophie Calle’s latest publication, Aveugles / Blind (2011). The central exhibition space within the book dealer / publisher section at Paris Photo showcased the 60 nominated titles for the first annual Paris Photo Book Prize. 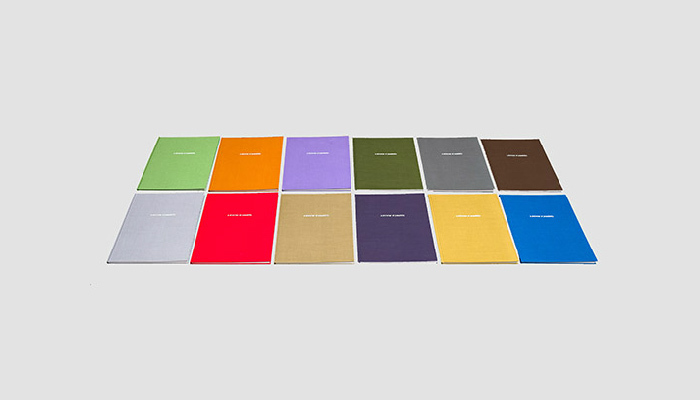 The award, which was given to British photographer Paul Graham’s a shimmer of possibility (2007), was created to honor a noteworthy photobook from the past 15 years. Graham’s 12-volume work, inspired by Chekhov’s short stories, presents sequences of images of everyday American scenes. Also launched in tandem with the Photo Book Prize was The PhotoBook Review, a bi-annual newsprint publication dedicated to providing in-depth reporting on the ever-expanding world of the photobook. Exploring farther afield, with Paris Photo as a starting point, a short metro ride north to Place Clichy in the 18th arrondissement offered several worthwhile alternative venues for photobook addicts. Five blocks north of the metro, along bustling Ave. de Clichy, on the Impasse de la Défense, Le Bal Books, the impressive bookshop connected with Le Bal gallery, was a popular stop for visitors headed towards the Offprint Paris fair two streets further on. Tiny, by New York standards, Le Bal Books more than makes up for its lack of space with a sophisticated and well curated selection of contemporary photography books, magazines and catalogues. Found on the shelves and tables of the shop were recent publications from the Tokyo Metropolitan Museum of Photography, ICP and numerous small and independent photography publishers. Similar in feel to the New York Art Book Fair at PS1, Offprint Paris fair occupied 3 floors of a high school at 21/24 Rue Ganneron. Offering a mix of established publishers (with some exhibiting at both Offprint and Paris Photo), small independent presses, magazines and dealers, Offprint Paris had the feel of a salon with informal dialogues, workshops and book signings freely filling the space. On view at the Schaden booth were books by Ken Schles and Jeffrey Silverthorne, among others. 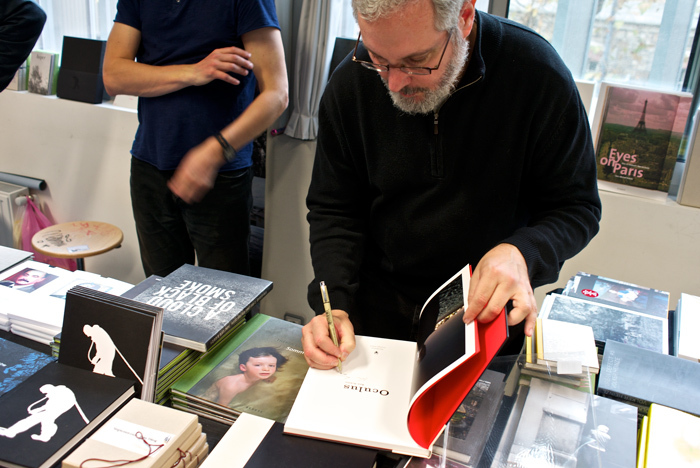 New York based Schles was on hand to sign copies of his Oculus (2011), a quietly beautiful book from Dutch publisher Noorderlicht. Also of interest were artist book/zines by Jim Goldberg, John Gossage and Michael Wolf from the Japanese publisher Super Labo / スーパー ラボ; a selection of the annual photobook award publications at the International Fotobook Festival stand; and Foam Magazine, the publication associated with the Foam exhibition venue in Amsterdam. Before heading back to Paris Photo, one more venue in the 18th arrondissement was worth a visit for those interested in photobooks. The Magnum Photo space at 19 Rue Hégésippe was presenting Magnum Days, an exhibition of Magnum photographer catalogues, monographs, and special signed/numbered collector editions. 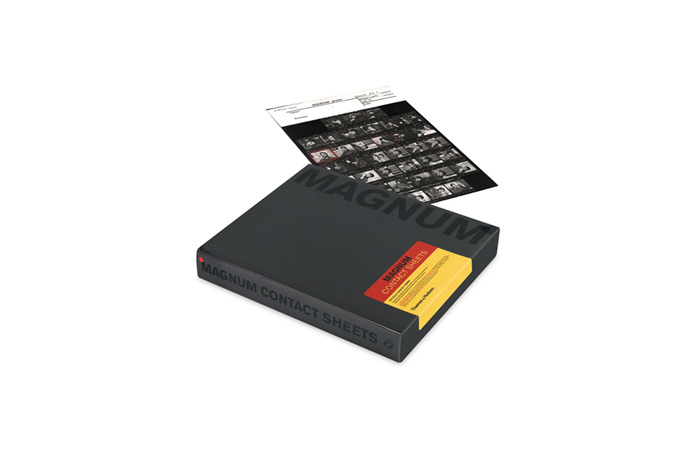 Among the numerous publications on view was a deluxe edition of ICP curator, Kristen Lubben’s just released Magnum Contact Sheets (2011), Alec Soth’s Fashion Magazine: Paris-Minnesota (2007) and Paul Fusco’s RFK Funeral Train (2000). Rumors abounded about more photobook events in the 11th arrondissement, but given the 4-day time frame for the fairs, those venues will have to be explored next year. This entry was posted in artists' books, Exhibitions, International, Seen and heard and tagged Daido Moriyama, Ken Schles, Kristen Lubben, Le Bal, Magnum Photos, Offprint Paris, Paris Photo, Paul Fusco. Bookmark the permalink.